Happy New Year to All! Jerm here with an update on a new hot-spot I came across last night! Now you may remember a few months back I was telling you about this new spot that was to be opening in the Crowne Plaza Tampa Westshore. If your memory isn&apos;t quite what it used to be, here is a refresher. 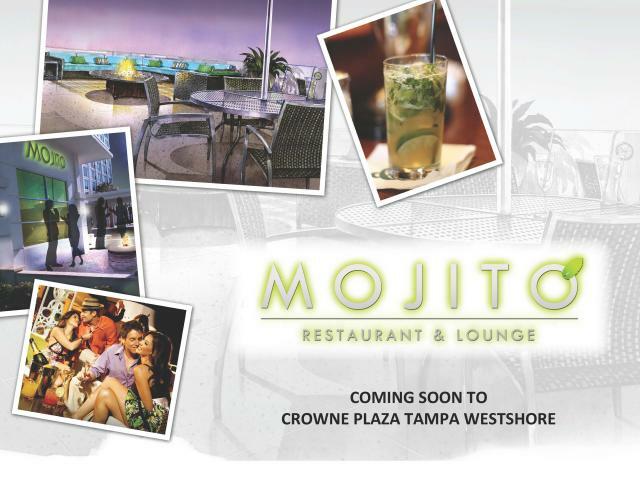 Well it&apos;s about that time as not only will the next 24 hours bring us a new year, but it will also bring a grand opening of Mojito Restaurant & Lounge! This New Year&apos;s Eve, the rhythmic sounds of Latin & American music will be coming from this Westshore District restaurant! It&apos;s a grand opening you don’t want to miss folks! With no cover, live entertainment, great food & drinks specials and take the elevator home guest room rates, Mojito will ensure you enjoy this night and welcome 2012 with style! I was able to stop by and get a sneak preview and folks let me tell you that this place is not only beautiful on the inside, but also a great place to relax and have some drinks and grub! I can fully admit that before I stepped in the doors, I was fully expecting the traditional sit down restaurant, but Mojito is that and so much more! Whether you want to sit down and have dinner, hit the bar for happy hour, watch sports on big screen tv&apos;s, or even listen to live music Mojito should be on your list of things to do! I just wanted a low key evening to sit down watch the games and have some dinner so I order a few items off of the menu and spent the evening relaxing and trying my hardest not to dance to the upbeat musical selections overhead. Trust me its not easy eating and dancing at the same time! This menu is pretty fierce and full of Spanish themed delights that will make the ol mouth water when reading the menu! 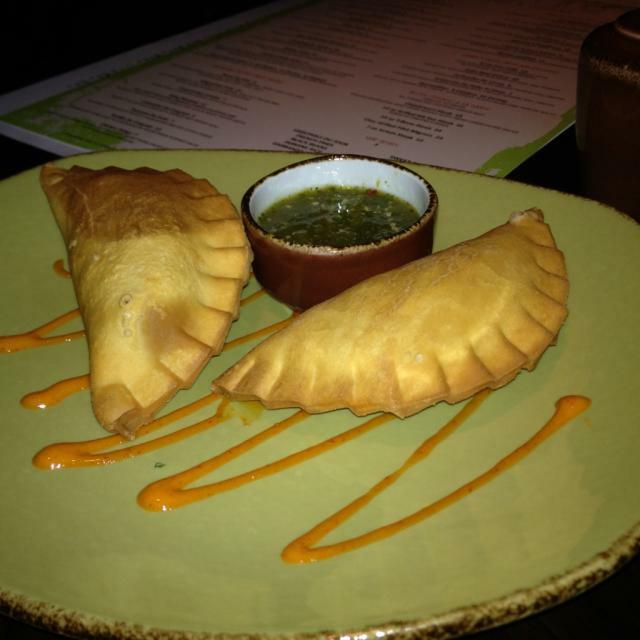 I started off with the Empanadas Criollas which is a delightful Flank Steak Cresent Turnover(s) Served with Salsa Criolla. Sticking with the protein theme I next decided to take a stab at the Chimichurri Steak. Need I say delicious! How does grilled marinated skirty steak served with chimichurri sauce sound to you! I added some black beans and rice to the mix and I was indeed a happy camper! Now onto dessert it was! I was in the mood for chocolate, so what better choice than some good ol Warm Chocolate Lava Cake and Vanilla Gelato! I&apos;m not much of a dessert guy, but this was simply delicious and I&apos;d highly recommend it! You have to check this one out folks and let me know what you think! That&apos;s all for now, but stay tuned in for more updates on Tampa Bay dining and New Year&apos;s related things to do in Tampa Bay!